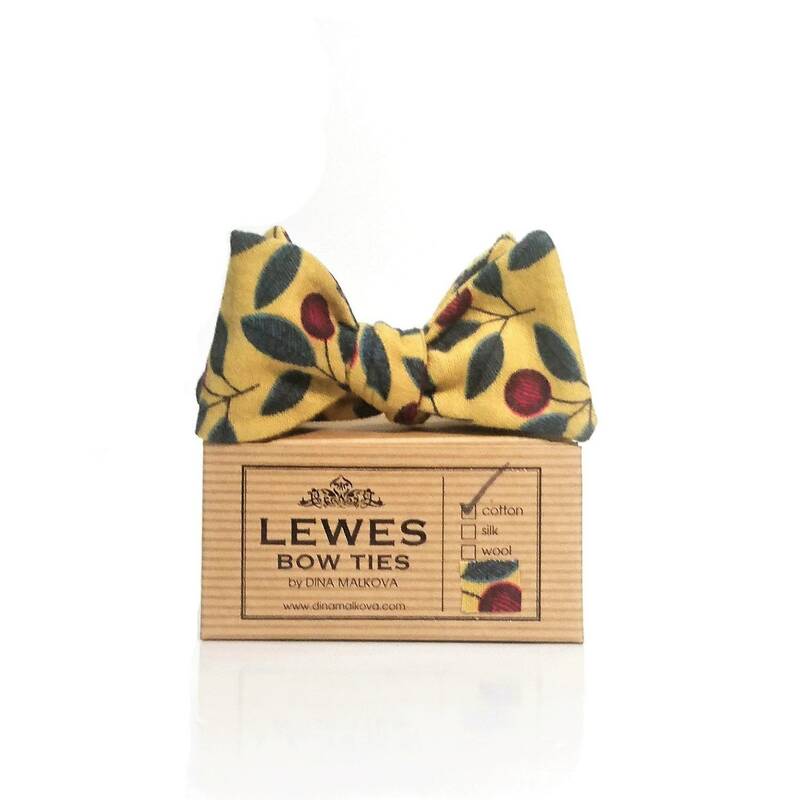 MUSTARD YELLOW SELF TIE BOW TIE WITH LOVELY CHERRIES PRINT. Mustard self tie bow tie is made from 100% finest brushed cotton. This bow tie is adjustable to fit neck sizes 15″-18″. The most charming print of teal and deep red cherries on mustard background. 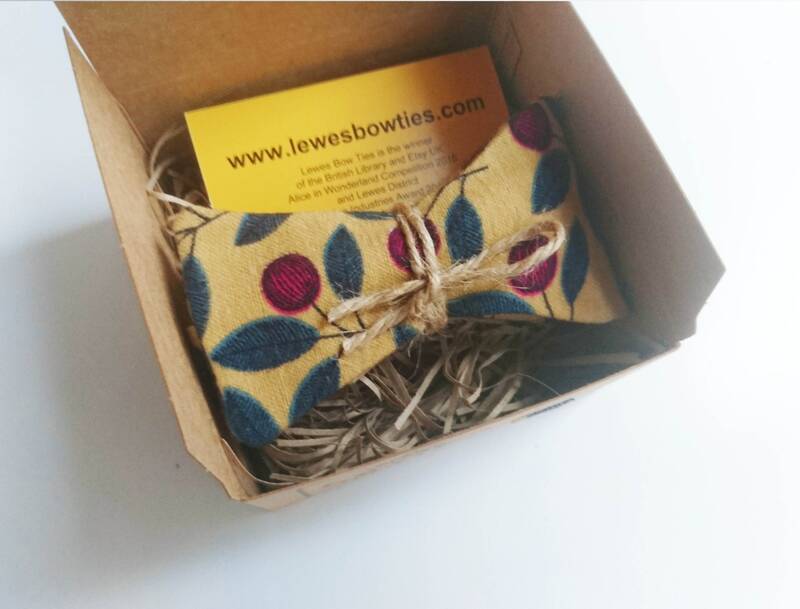 Lewes Bow Tie is hand crafted in limited numbers and packaged in a vintage style gift box made of recycled paper.